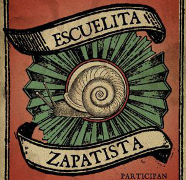 There will be a before and after the Little Zapatista School; of the recent one and those that will come. It will be a slow, diffuse impact, which will be felt in some years but will frame the life of those below for decades. What we experienced was a non-institutional education, where the community is the educational subject. Face-to-face self-education; learning with the spirit and with the body, as the poet would say. It’s about non-pedagogy inspired in campesino culture: selecting the best seeds, scattering them on fertile ground and watering the earth so that the miracle of germination produces, which is never certain nor can it ever be planned. 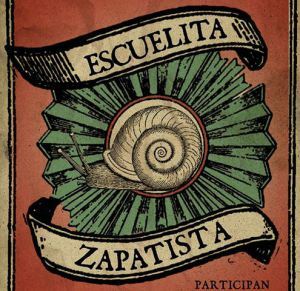 The Little Zapatista School, for which more than a thousand students went into autonomous communities, was a different way of learning and teaching, without classrooms or blackboards, without teachers or professors, without curriculum or qualifications. Real teaching begins with the creation of a climate of fellowship (hermanamiento) among a plurality of subjects, previously with division between an educator with power and knowledge, and ignorant students in whom knowledge must be inculcated. Among the many apprenticeships, impossible to sum up in a few lines, I want to emphasize five aspects, perhaps influenced by the conjuncture that we are crossing through in the continent’s south. The first is that the Zapatistas defeated the social counterinsurgency policies, which are the way found by those above for dividing, coopting and submitting peoples that rebel. Side by side with each Zapatista community are communities related to the bad government with their little cinder-block houses, who receive cash certificates and hardly work the land. Thousands of families succumbed, something common everywhere, and accepted gifts from above. But, what’s notable and exceptional is that other thousands continue forward without accepting anything. I don’t know of another process in all of Latin America that has been able to neutralize the social policies. This is a major virtue of Zapatismo, attained with militant firmness, political clarity and a never-ending capacity for sacrifice. This is the first lesson: it is possible to defeat the social policies. The second lesson is autonomy. Years ago we listened to speeches about autonomy in the more diverse movements, something very valuable for sure. In the autonomous municipalities and in the communities that make up the Caracol of Morelia, I can testify that they constructed an autonomous economy, health, education and power; in other words, an integral autonomy that contains all aspects of life. I don’t have the least doubt that the same thing happens in the other four Caracoles. A couple of words about the economy, or the material life: the families from the communities don’t “touch” the capitalist economy. They hardly border the market. They produce all their own food, including a good dose of proteins. They buy what they do not produce (salt, oil, soap, sugar) in Zapatista stores. They save the family and community excesses in cattle, based on the sale of coffee. When there is a need, for health or for the struggle, they sell a head. Autonomy in education and in health are placed in the community’s control. The community elects those who will teach their sons and daughters and those who will care for their health. There is a school in each community, in the place for health midwives, bonesetters and those who specialize in medicinal plants work together. The community sustains them, like it sustains their authorities. The third lesson is related to collective work. As a Votán said: “Collective work is the motor of the process.” The communities have their own lands thanks to the expropriation from the expropriators, the inescapable first step for creating a new world. Men and women have their own collective jobs and spaces. Collective work is one of the cements of autonomy, whose fruits usually spill into hospitals, clinics, primary and secondary education, in strengthening the municipalities and the good government juntas. Not much that has been constructed would be possible without the collective work, of men, women, boys, girls and the elderly. The fourth question is the new political culture, which is rooted in family relations and permeates all of Zapatista “society.” Men collaborate in the domestic work that continues falling on the women; they take care of their children when the women leave the community for their work as authorities. The father-son relationships are affectionate and respectful, within a general climate of harmony and good humor. I did not observe a single gesture of violence or aggressiveness in the home. The immense majority of the Zapatistas are young or very young, and there are as many women as men. The revolution cannot do it without the very young, and that has no discussion. Those that govern obey, and it is not just a discourse. They appoint the body, which is another of the keys of the new political culture. The mirror is the fifth point. The communities are double mirrors: in which we are able to look at ourselves and where we can see them. But not one or the other, but the two simultaneously we see ourselves looking at them. In that coming and going we learn about working together, sleeping and eating under the same roof, in the same conditions, using the same latrines, stepping in the same mud and getting wet in the same rain. It is the first time that a revolutionary movement carries out an experiment of this kind. Until now the learning among revolutionaries reproduced the intellectual models of academia, with an above and a below stratified, and frozen. That’s something else. We learn with skin and senses. Finally, there is a question of method or of the form of work. The EZLN was born in the countryside with a concentration that represented vertical and violent relations imposed by the plantation owners. They learned to work family by family and in secret, innovating the mode of work of the anti-systemic movements. When the world seems more like a concentration camp every day, their methods can be very useful for those of us who continue engaged in creating a new world.